Georgian opposition protestors have resumed their picket at the Georgia Public Television headquarters, forming a ‘conscience corridor’ which staff have to pass through when entering or leaving the building. The rest of the protesters have blocked all other entrances into the building, forcing people into the manmade corridor. This is similar to an action carried out by the same group on May 1. “The action aims to compel the TV channel's chiefs and employees to give objective coverage of the events in Georgia, specifically, of the opposition's actions in Tbilisi,” opposition leaders have stated. “Therefore we have decided to bring pressure in this form on Public TV leaders and persons who decide the channel's information policy,” she added. Employees of Public TV have to pass through the ‘conscience corridor’ to the accompaniment of whistles and shouts. “Georgia’s Way” party leader Salome Zurabishvili said to RT that the opposition parties have started picketing as an action to warn that the Public Television has become “only an instrument of state propaganda,” and they will probably intensify picketing in the coming days. “Young people are just whistling and shouting and party leaders are asking those people who go to work at Public Television whether they consider that this is a right use of public money and whether the Public Television, the way it is functioning today is the way it should be handled. We consider that there’s no real Public Television at this country. There’s a propaganda machine that works against the society and that is something that should be changed immediately,” Salome Zurabishvili said. She added that Public Television is only reporting discreditable news about the protests in the news reports, showing how they are disrupting the public life and saying nothing about the political demands and the political speeches that are happening during the protests. The Georgian opposition leaders stated on Monday that they are preparing to intensify their struggle against Saakashvili starting on May 4. This will involve a “preventive action” on May 5. The opposition is promising to block all major highways leading into Tbilisi, severely impeding daily activities. 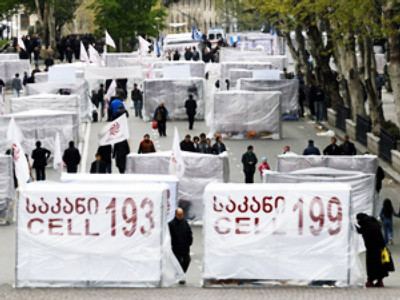 Then, on May 8, highways in the Tbilisi region will be picketed off. 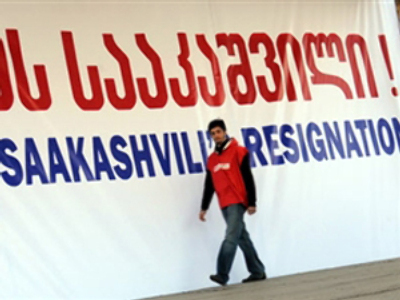 “Mikhail Saakashvili will be given 72 hours to accept the demands for his resignation from the Georgian presidential post and to conduct direct negotiations with the opposition to establish a way to peacefully and constitutionally change the country’s leadership,” the opposition stated. If their terms are not satisfied, the opposition is planning to conduct a termless picket of all the major roads and highways in Georgia. If this will take place, the locations of the pickets will be announced on May 10. The Georgian president himself is scheduled to attend an EU summit to officially launch its Eastern Partnership initiative on May 7. The Eastern Partnership forum, which will be held in Prague, includes initiating discussion on visa agreements, free trade deals, and strategic partnership agreements with a number of countries from Eastern Europe and the South Caucasus. This was his final statement made during a media conference after he spent four days in intense negotiations with the Georgian authorities. “Negotiations between the government and the opposition are essential, this is our definitive recommendation,” he stated. According to the EU Special Representative the opposition’s actions are a legitimate form of protest. Nevertheless, the situation in the country is ‘more difficult’ than ten days ago. 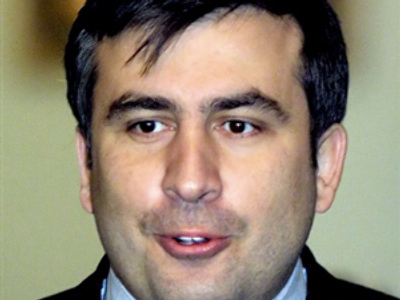 Since the beginning of the unrest in April, Georgian President Mikhail Saakashvili has reiterated that he is not intending to give up his presidential post.